Do you feel insecure when it comes time to update your photo at work, because of imperfections in your smile? Even when you are spending time out with friends, do you find yourself embarrassed to smile because of noticeable flaws in your teeth? If so, are you ready to stop settling for a smile that causes you to feel insecure? Have you considered the benefits of cosmetic dentistry, and how it can help hide those imperfections and improve your confidence? 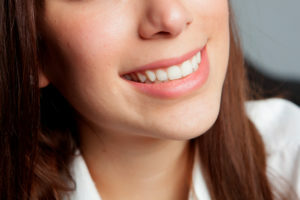 Cosmetic dentistry can help hide many common imperfections, and can give you more confidence, making sure you are ready for your next close-up. So if you are ready to achieve a smile you can feel proud to show off, talk to your dentist about how cosmetic treatment can help! Many causes of cosmetic concern can be address through fast and effective cosmetic treatments. For instance, even most deeply set stains can be reversed through the use of professional teeth whitening. In fact, many patients enjoy teeth that are eight to ten shades lighter after professional teeth whitening treatment. In the case of shape or size issues related to the teeth, or even minor alignment problems, cosmetic bonding, contouring or even veneers can help. Bonding and contouring are fast and affordable treatment options, while veneers can offer even longer-lasting results thanks the strength of the dental porcelain used to craft them. Invisalign is another treatment option for patients who are concerned by the alignment of their teeth. Like traditional orthodontic treatment, Invisalign can help straighten teeth and correct spaces and overlapping, underbites and overbites. However, because Invisalign relies on clear aligner trays, many patients find this option less embarrassing and more comfortable than traditional orthodontia.